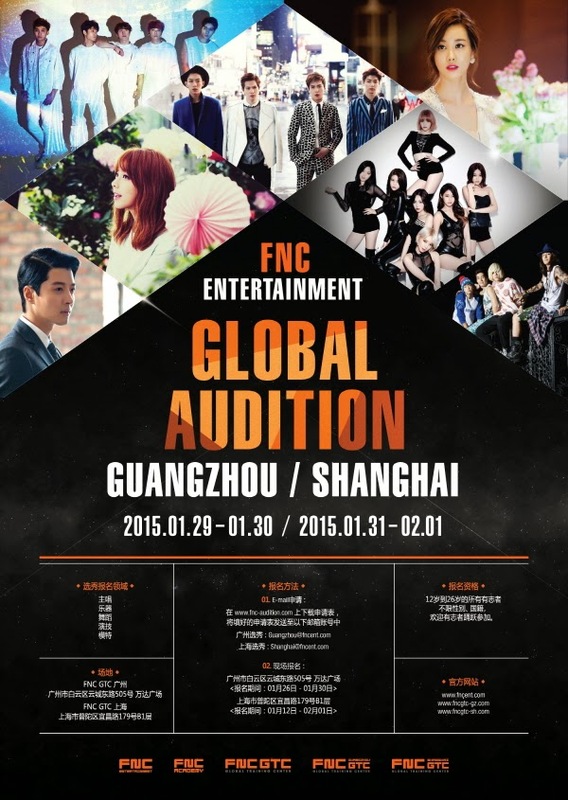 FNC GTC : How to apply the FNC GLOBAL AUDITION ? Come and have a look! Furthermore, please print out and bring along the completed application form with you to the audition. You can also come to our FNCGTC at Shanghai and Guangzhou to apply in person, our staff will be glad to provide assistance. If you applied both singing and dancing audition, it is not necessary to prepare two songs, we will prepare song in the audition for Free Style performance. Applicants will be notified by FNC individually, please make sure the general information is filled in correctly.